GA Gives Day is coming up December 6 and you have the power to make it a success… just by using the same device on which you’re reading this blog! We invite you to become a fundraiser for Atlanta Center for Self Sufficiency on GAgivesday.org. It’s an easy and fun way to show how much you love ACSS among your family and friends and inspire others to donate to a cause that is breaking the cycle of homelessness in Atlanta and beyond. All you have to do is go to our GA Gives Day profile and click the “Become a Fundraiser” button on our page. You will create your own profile and be recognized as a fundraiser right on our page. Click here for instructions and a video to help you get set up. It’s easy! Join us to make GA Gives Day a virtual “flash mob of giving” for ACSS on December 6. Like GA Gives Day on Facebook and follow @GAGIVES on Twitter. Dine at Après Diem on Thursday, November 29th and 20 percent of the total receipts for the day will be donated to Atlanta Center for Self Sufficiency! You can RSVP on our Facebook invite page, or simply stop by. On Thursday, Après Diem is open from 11:30 a.m. to midnight. The Atlanta Center for Self Sufficiency’s (ACSS) Board of Directors announces the retirement of its inaugural president & chief executive officer, Charles R. Edwards, effective December 31, 2012. Upon completion of his tenure at the helm of ACSS, and after enjoying six successful careers over the span of 40+ years, Charles will spend more time enjoying his bride, and spoiling his grandchildren. He remains both passionate and committed to the mission of ACSS, and the Board is excited he will offer his services as a trusted advisor and volunteer. We have a strong and cohesive board of directors. We’ve developed bold and exciting mission and vision statements buffeted by an enduring set of core values. Our sound 5-Year Strategic Plan is designed to be fully integrated operationally from each board committee throughout ACSS to each staff member. The employment readiness models in our CareerWorks and Veterans Employment Assistant Programs are proven. We have enhanced our Café 458 Program beyond life stabilization for people with disabilities that prevent them from working, to include a culture of helping to improve the Atlanta community through volunteerism. The philosophy of “Collective Impact” by establishing strategic partnerships with strong complementary agency partners, employer partners, and the faith-based community has truly been embraced. ACSS is well on its way to validating an exciting model to increase its capacity to serve people by leveraging instructional technology tools to establish satellite sites. And, we have strong support from the City of Atlanta’s government leaders. But most of all, we have forged an exceptionally strong staff that is talented, passionate, and committed to the cause of Breaking the Cycle of Homelessness! 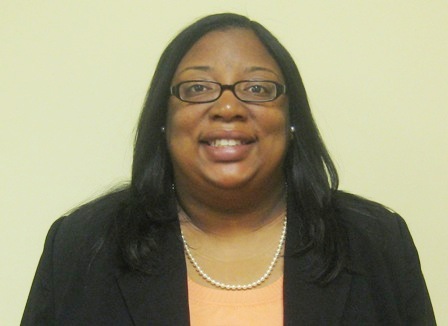 To that extent, the Board is also pleased to name Dana B. Johnson as Charles’ successor. Dana has been with ACSS/Samaritan House for seven years and has served in various capacities, most recently as vice president of development, finance and administration. She brings a passion for nonprofit management and proven success in securing and leveraging resources to maximize outcomes. The ACSS Board wishes Charles the best in this new phase of his life.